Happy new year! We hope everyone had a very restful holiday. 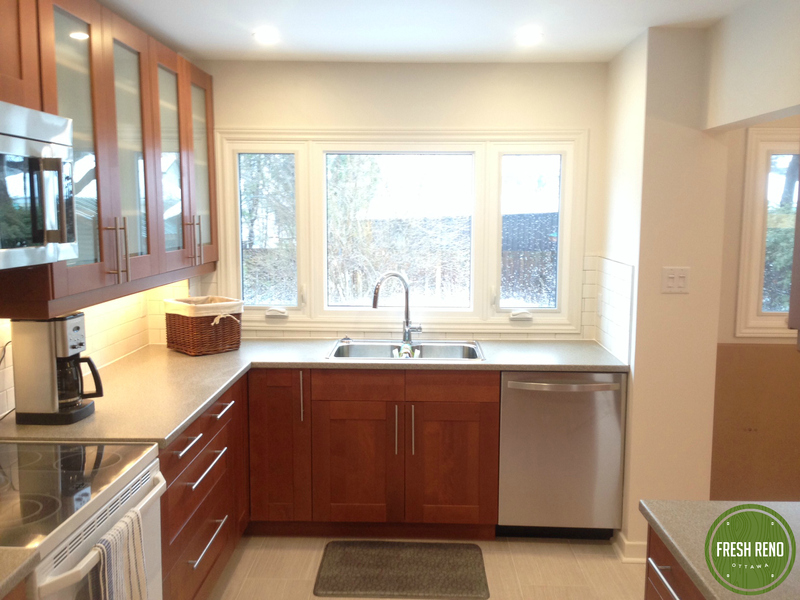 We’re starting the year with this kitchen renovation in a great old neighbourhood in the west end of Ottawa, near Ikea. End of Day 1: Demolition nearly complete. 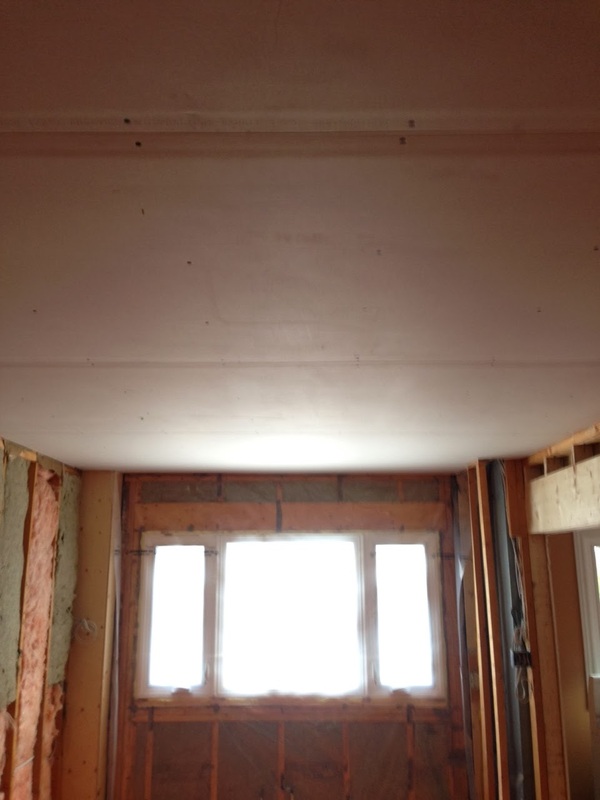 Day 6: Drywalling the ceiling. AKA shoulder workout. 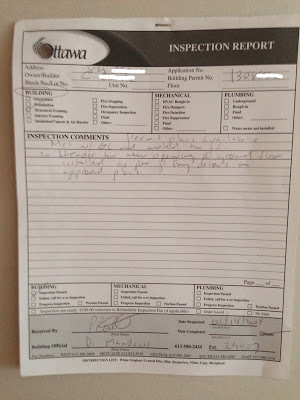 Day 6: Passed the first City of Ottawa inspection with flying colours. 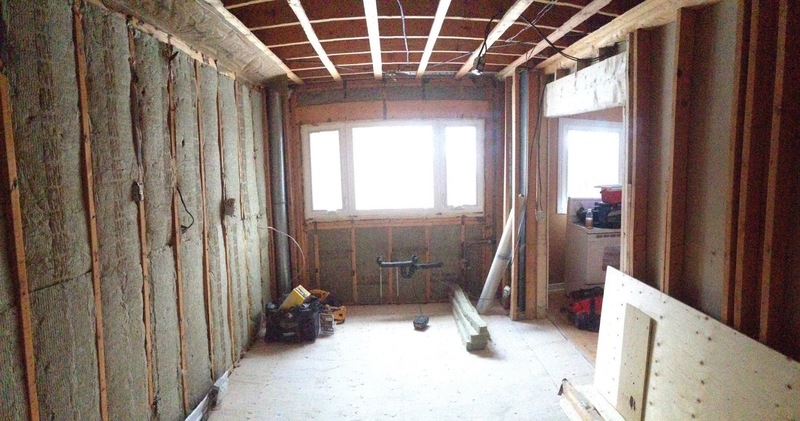 Day 7: The drywall is up and mudded three times. Sanding and priming are up next. 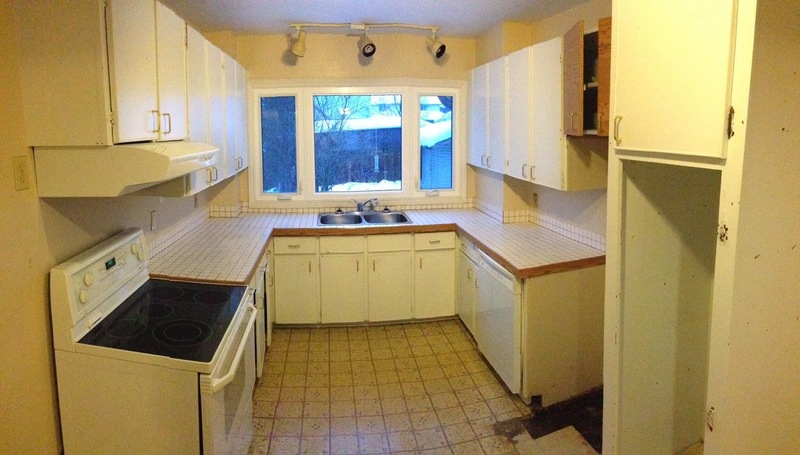 Day 9: the kitchen floor tiling is underway. 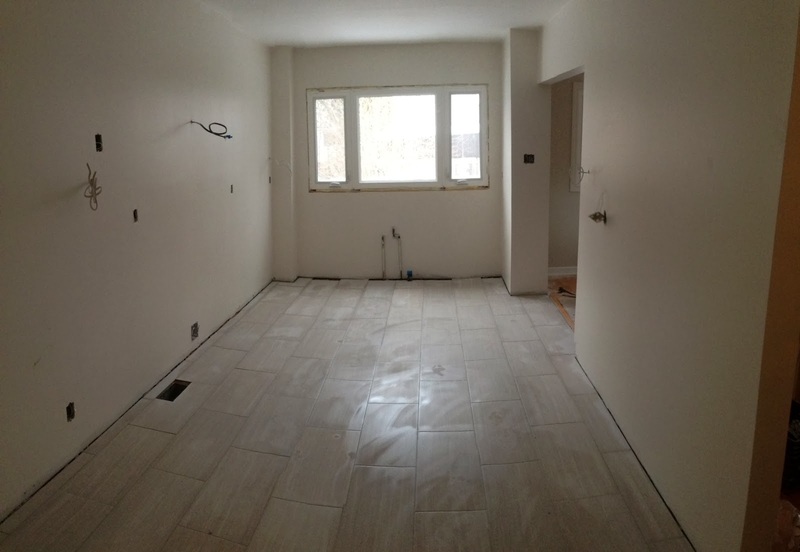 Day 10: Kitchen floor tiled and grouted (cleaned twice so far). Walls and ceiling are painted. 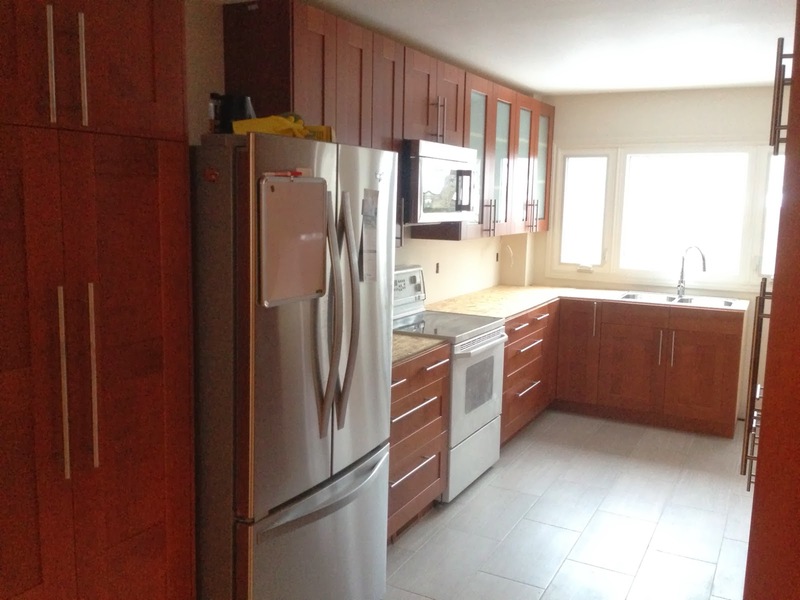 Day 11: Kitchen cabinet installation is underway. 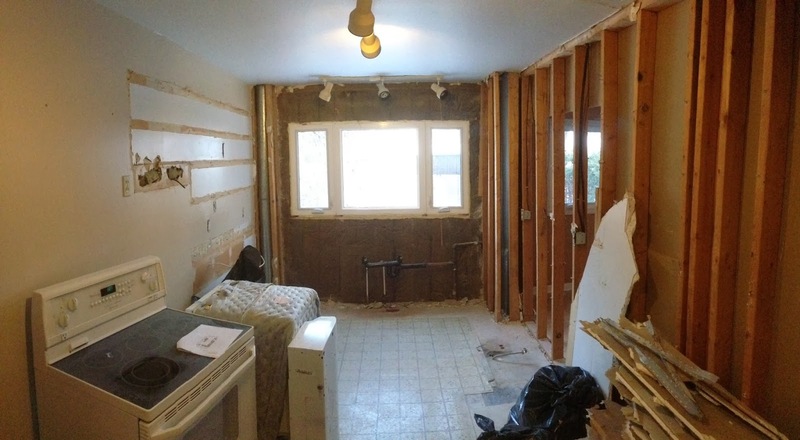 This is starting to look like a kitchen again. 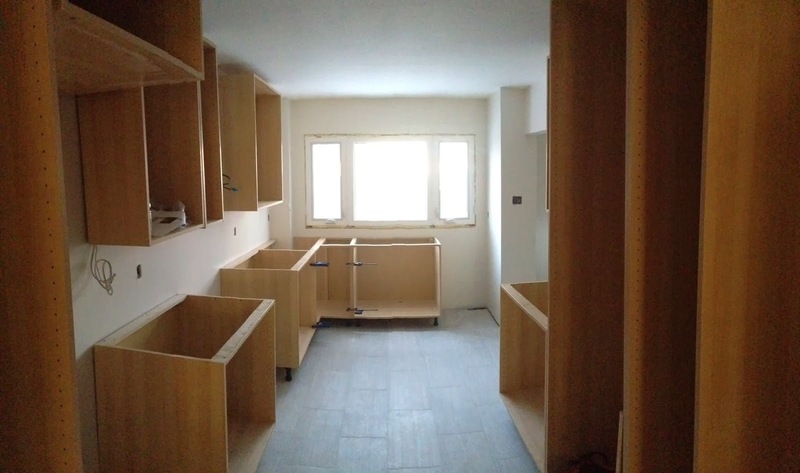 Day 15: All cupboards installed, handles on and the sink is in. Did trim pieces today. 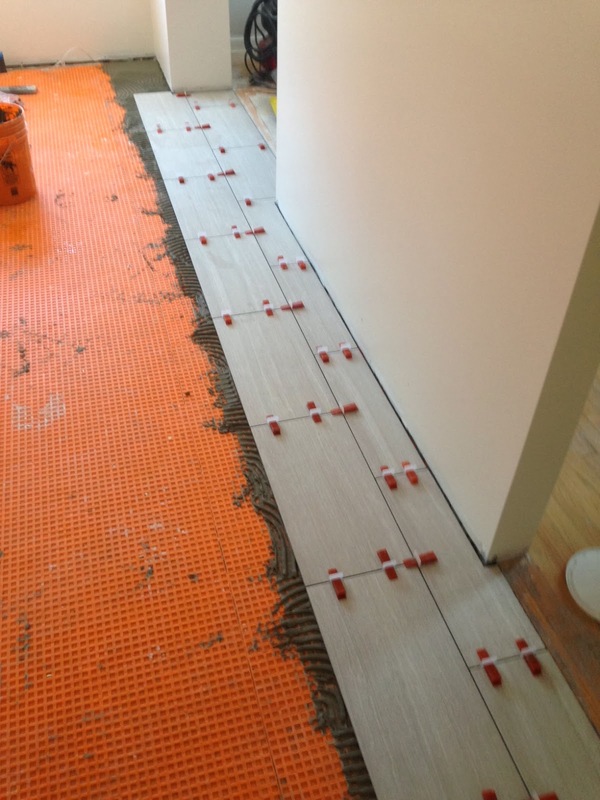 Temporary counters are in place while the laminate counters are cut. We’ll be back once the counters are installed, in approximately two weeks. 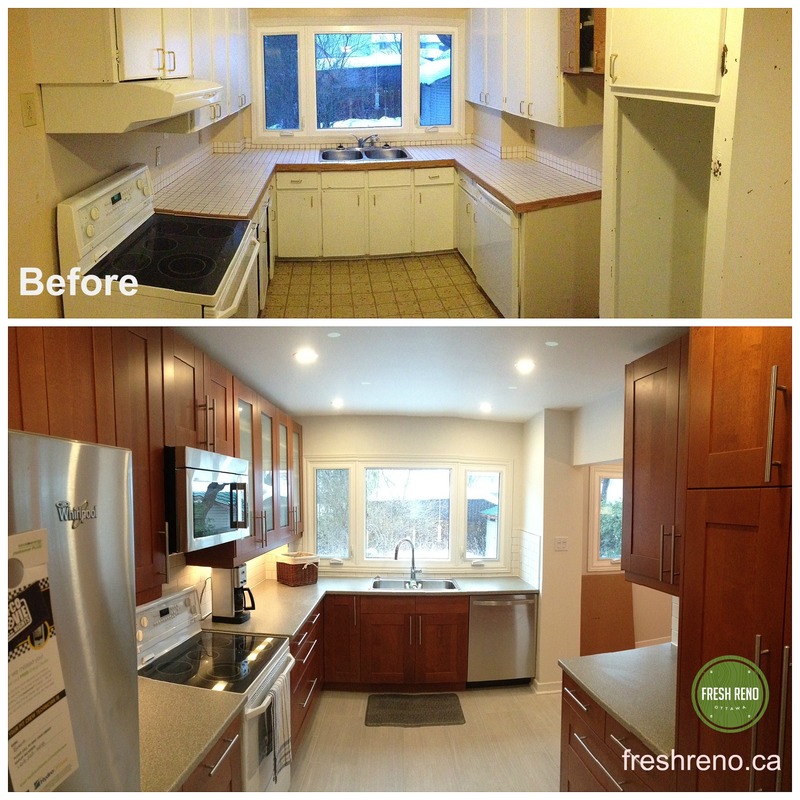 Day 16: Two weeks later… Today we’re back in Queensway Terrace North to put the finishing touches on a kitchen reno. 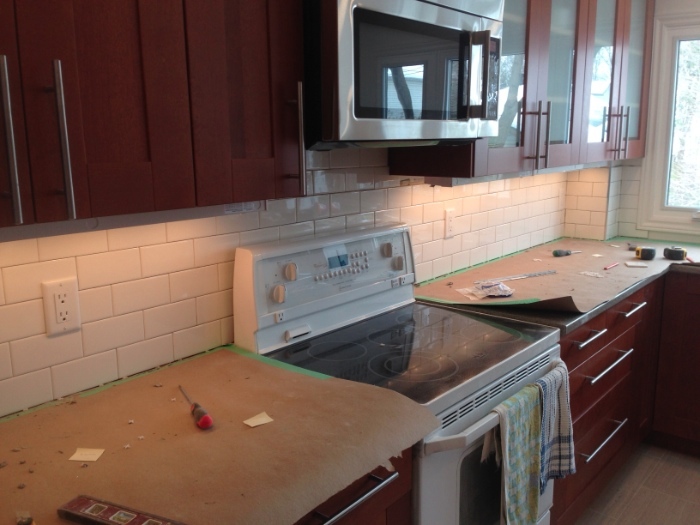 The laminate counters ordered by the homeowner have been installed (www.eastopcounters.com), so we’re back and laying 3×6 subway tiles for the backsplash. Day 16: Finishing touches now that the counter has arrived. 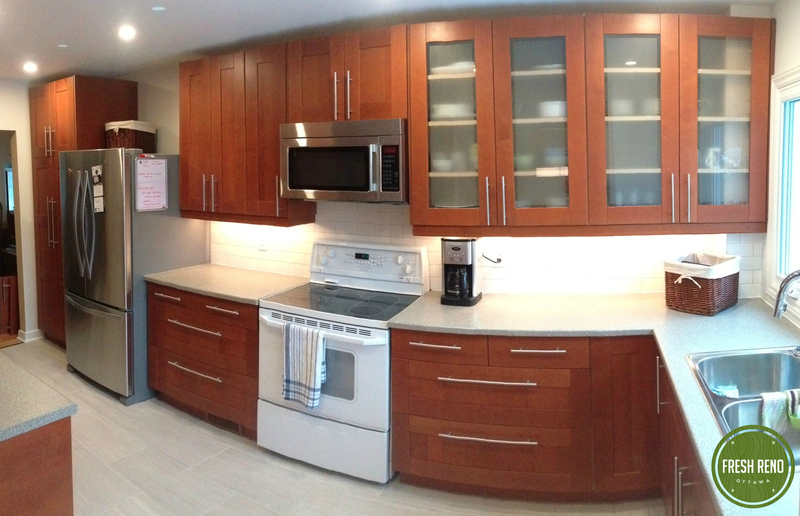 Subway tile backsplash installed along with an extra shelf and lazy susan for the corner cupboard. 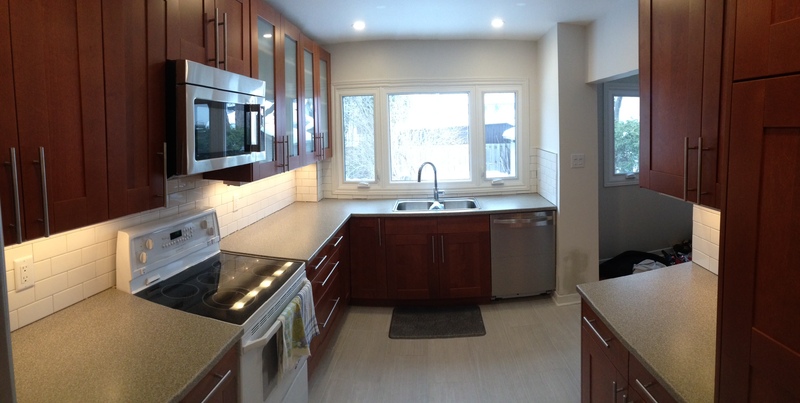 Day 17: This Ottawa Kitchen renovation is complete. One of the most dramatic before and after shots.